Silbowitz, Garafola, Silbowitz, Schatz and Frederick, L.L.P. : Brooklyn Life, New York Life. Silbowitz, Garafola, Silbowitz, Schatz and Frederick, L.L.P. 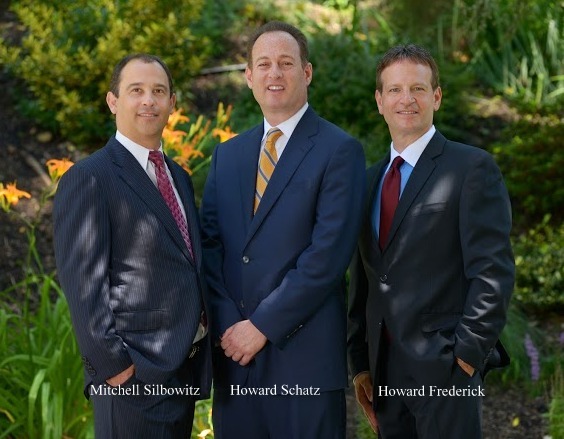 Silbowitz, Garafola, Silbowitz, Schatz & Frederick is a committed group of highly effective and skilled personal injury attorneys with over 80 years of cumulative experience prosecuting personal injury lawsuits. Our firm is experienced at recovering multi-million dollar awards and we strive to provide the highest quality legal representation to seriously injured victims and the families of those whose loved ones have been wrongfully killed due to the negligence of others. Representing accident victims in personal injury cases is our only business and we are passionate about what we do. We offer a broad spectrum of services designed to achieve our client’s goals while guiding our clients through the legal, personal and financial challenges they inevitably encounter while their case is being vigorously pursued. Hiring the right attorney to represent you is one of the most important decisions you will ever make and is crucial to getting fair and adequate compensation for your pain and suffering. Silbowitz, Garafola, Silbowitz, Schatz & Frederick ACHIEVES RESULTS – meaning we go after the money like it was our own, but we make sure we treat you respectfully and considerately along the way. Our ability to untangle complex disputes and to communicate with judges, juries and adversaries in a clear, decisive, and straight forward manner is the cornerstone of our success. We value the close client relationships we develop and welcome our clients’ involvement in the process. In a nut shell, it is integrity, professionalism, responsiveness, and winning that are our ultimate goals. The firm’s litigation practice focuses on neck, back, knee and other surgery cases, automobile accidents, construction accidents and general negligence, as well as medical malpractice cases. You may also call us for cases involving drugs, dangerous products and other personal injury claims. Our cases routinely involve complex medical issues involving: back, neck, knee, shoulder, head, arm, and or leg injuries resulting in fractures, various injuries requiring surgery, spinal cord injuries, soft tissue injuries, herniated discs, RSD, Complex Regional Pain Syndrome and many others. We will also represent you in cases involving paraplegia, quadriplegia, wrongful death, brain injuries, and birthing injuries to mother and child. Lawsuits often require the testimony of proper experts to prove liability, injuries and future medical expenses, wage loss claims and other economic matters. Our attorneys regularly consult with these experts on a large number of our cases and leave no stone unturned to insure that your case is being properly handled and prepared at all times.